Despite one of the most impressive sports presentations I’ve ever seen, the Philippines failed to win and host the upcoming FIBA 2019, losing to China in what was a not so tightly contested affair of 14-7 votes. Entering the final presentations, China always had the upper hand, as they have proved before to the world that their country is ready to host another huge sporting event after the 2008 Olympics in Beijing. They have the infrastructures, a government ready to spend billions to support the cause, and 300 million basketball fans waiting anxiously for the first tip-off. In comparison, the Philippines, despite successfully hosting the 2013 FIBA Asia Championship, only has 3 basketball arenas (MOA Arena, Araneta Coliseum, Philippine Arena) that passed the FIBA guidelines, and 100 million total population – just a third of Chinese basketball fans. It was a no brainer for the FIBA board, to be honest. 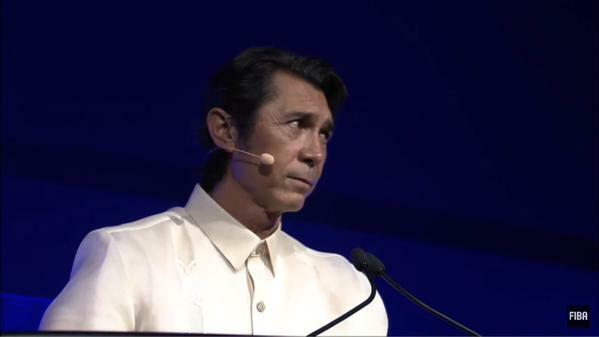 The Philippine delegation, led by Manny V. Pangilinan, Chot Reyes, PBA Hall of Famer Jimmy Alapag, and even Hollywood actor Lou Diamond Phillips, successfully conveyed their message – how much love the Filipinos have for the game of basketball. It was their mission to bring basketball home. They tried hard, but just couldn’t pull it off. It can never be considered a “heartbreaker” though. #PUSO2019 didn’t happen, but it’s a lesson that we’ll use to push through with #PUSO2023, #PUSO2027, #PUSO2031, and so on and so forth. LALABAN PA BA ANG PILIPINAS NG MAY PUSO?! Speaking of the FIBA 2019, the national team, Smart Gilas has retooled their roster in preparations for the 2015 William Jones Cup in Taiwan and the 2015 FIBA Asia Championship in, ironically, China. The Philippines last won the William Jones tournament 3 years ago, beating a US team boasting collegiate athletes with the help of tournament MVP, LA Tenorio. 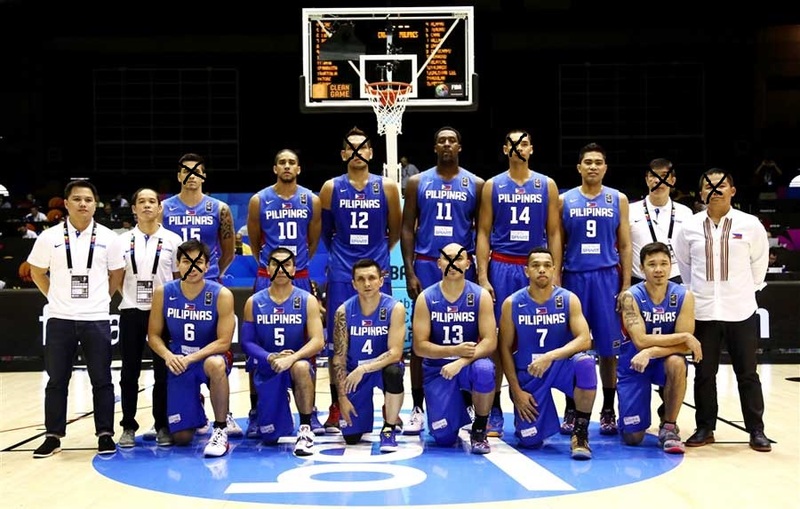 A year after, Gilas would go on to be a runner-up in the FIBA Asia Championship, losing to Iran, but winning the hearts of the Filipino people. It was all good. It was supposed to be good. 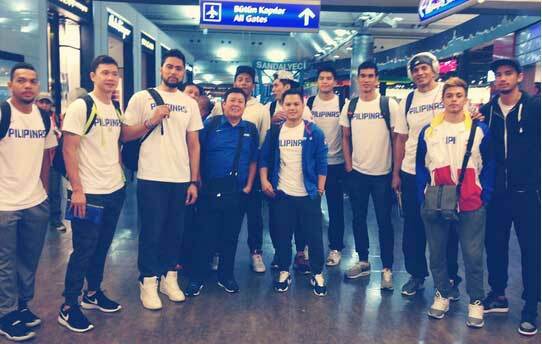 Armed with the support of the whole nation, Gilas would make their presence felt in the 2014 FIBA World Cup, before crashing out of the knockout rounds courtesy some costly mistakes from head coach, Chot Reyes. He would eventually be replaced by Tab Baldwin, a former coach of Lebanon and Jordanian national basketball teams. Baldwin’s offense was supposed to be more “post-centric,” as he planned to use Junemar Fajardo, naturalized-player Andray Blatche, Greg Slaughter, and the uber-athletic Japeth Aguilar. This was very much different to what Chot Reyes has used in the past, relying on the speed and quickness of the team, increasing the pace of the game and using spacing for isolations and pass-and-cut diagrams. 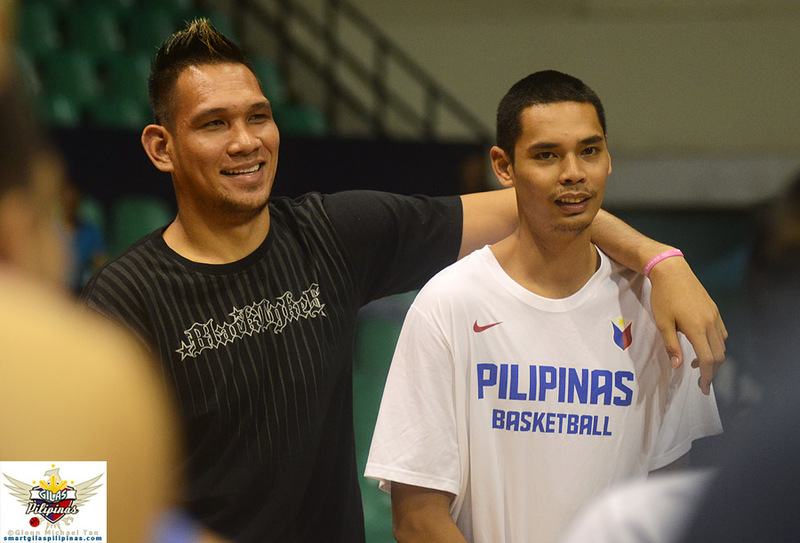 Baldwin brought a new excitement to the Gilas program, and he was ready to continue what Chot has started. Unfortunately, not all players were ready for the encore performance. With a slot for the 2016 Olympics in Rio de Janeiro within reach, Baldwin released a list of 24 PBA Players joining the “Gilas 3.0” pool, as originally posted by Spin.ph. Some thought that Coach Tab will have to make some very difficult cuts before he reaches the 14-man limit, but it was a good problem to have. He thought it was. Unconfirmed reports are surfacing that San Miguel Corporation have ordered their players to stay away from the program, at least for the time being. Junemar Fajardo, who is coming off a back-to-back MVP campaign in the PBA with the San Miguel Beermen, didn’t show up on the first day of practice. He was reportedly dealing with plantar fasciitis in both feet. Some would argue that it’s still a playable injury, but I beg to differ. Imagine having a nail stuck on your foot, plus the pressure coming from running and jumping. That’s how bad plantar fasciitis is. Japeth Aguilar broke his left pinky last month, and would need 3 months to recover. But word around the league is that he’s back with the Ginebra San Miguel. LA Tenorio, who has struggled last season with Ginebra, wanted to take additional rest and prepare for next season and ending Ginebra’s championship drought. And Marc Pingris (who has since had a change of heart and went back with the team), who epitomizes the “LABAN PILIPINAS PUSO” attitude of Gilas more than any other player, begged to be released from the pool as he wanted to familiarize himself with new coach, Jason Webb. What do they all have in common? Well, they’re all under the SMC-led teams in the PBA, a rival of MVP. Dirty politics will always find a way to destroy unity. 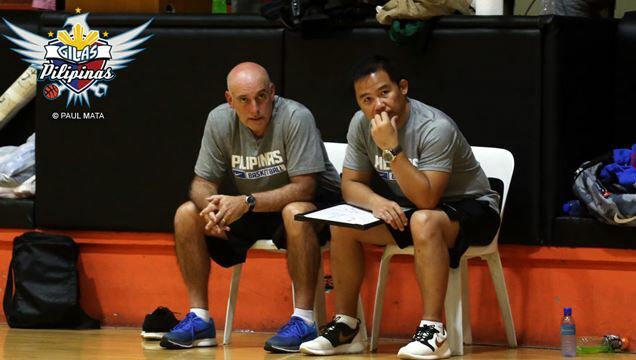 Rain or Shine Elastopainters, owned by the Asian Coatings Philippines, Inc., have reportedly proposed of sending just one player from their team. Paul Lee, Jeff Chan, and Beau Belga were never in Baldwin’s 24 player pool request, according to Rappler. Despite some key losses, Tab Baldwin still managed to put a relatively competitive team on the floor for the recently concluded 2015 Toyota Four Nations Cup where the Philippines went on the wrong side of a sweep. Moala Tautuaa and NU’s Troy Rosario are in a valuable spot, spending their rookie preseason with veterans that would surely help them hone their skills for the upcoming PBA season. I’ve always believed that the word “Smart” on Smart Gilas will continue to affect what the national team has done, and it’s finally showing the cracks. But still, corporate warfare has no place in professional basketball, and I just hope that this will not stop what GIlas has done for all teams involved, may they be MVP-companies or not. 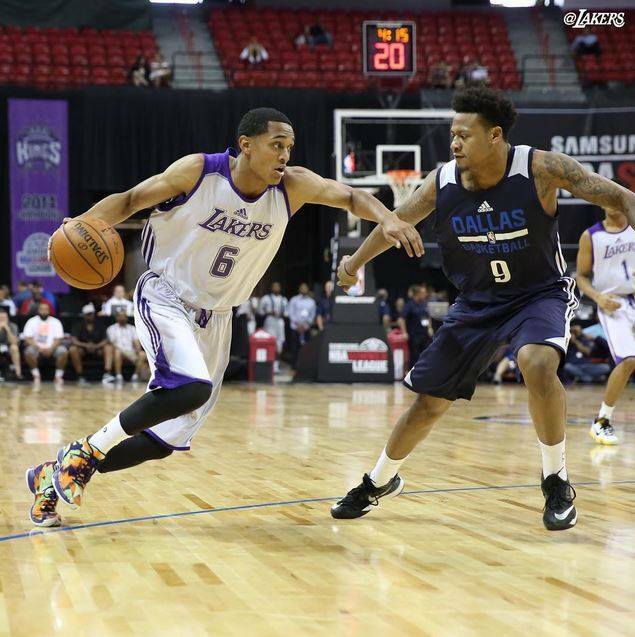 In preparation for the 2015 FIBA Asia Championships, Samahan Basketbol ng Pilipinas has released a new-24 pool that includes none other than the Los Angeles Lakers’ prized sophomore, Jordan Clarkson. Clarkson earned an-All NBA 1st Team Rookie honors last season, after being drafted in the 2nd round and surprising many with averages of 12 points, 3 rebounds, and close to 4 assists per game. His greatest assist as a professional basketball player may not be with the Lakers, nor with any other NBA team. There were news coming out of Clarkson’s camp that he’s willing to suit up for GIlas, having always wanted to represent the basketball-crazed nation of his mother who hails from Pampanga. But concerns for his eligibility were becoming troublesome as SBP and MVP both had no idea if Clarkson was a Philippine passport holder before the age of 16, a FIBA rule to consider if a player can play on a national team without the naturalization process (which was used to have Blatche on the team). 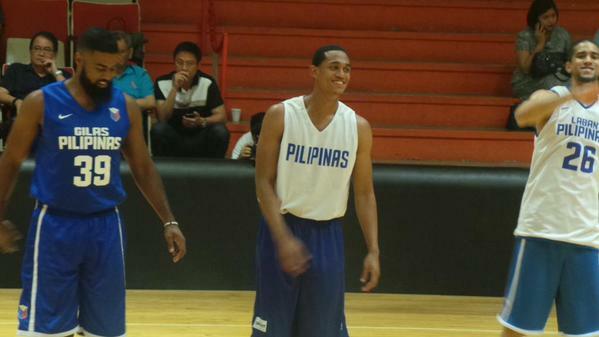 After months of heartbreaks from the failed PUSO2019 bid and the MVP vs SMC Gilas controversy, the Filipinos finally have a reason to rejoice again – Jordan Clarkson has been a Philippine passport holder since the age of 12. The possibilities with him on the team are endless. The next step is to have permission from both the LA Lakers and the NBA. Hopefully we continue with this good run of luck that we deserve. Bobby Ray Parks, Jr., who is currently in the States to pursue his NBA dreams, is also part of the list. Ateneo’s Kiefer Ravena, the youngest on the pool, is doubtful to be part of the roster with the UAAP season underway. Paul Lee, LA Tenorio, and Junemar Fajardo are also some of the names listed, but again also doubtful for reasons that I’ve mentioned earlier. August hasn’t been the best month for Philippine basketball, but it’s not enough to stop what we’re trying to build. Every day, our national team continues to work hard and improve in the hopes of surprising the world once again. I just continue to hope as well that all selfish reasons from these multi-billion peso corporations will be set aside for a bright future that the game of basketball will bring to a country that desperately needs one. This entry was posted in Basketball, FIBA and tagged Blog, Chot Reyes, Coach, FIBA, Gilas, MVP, PBA, Philippines, Smart Gilas. Bookmark the permalink.